The Co-Chairs of the Congressional Caucus on Hellenic Affairs Michael Bilirakis and Carolyn Maloney have asked their colleagues in the US House of Representatives to join with them in signing on to three letters to President George Bush, UN Secretary-General Kofi Annan, and Secretary of State Colin Powell regarding the current state of the Cyprus situation. The letters call on all three to reengage in a fresh effort to find a just and viable settlement in Cyprus and point out that the rejection of a UN proposed solution plan (the Annan plan) was not a refusal to find a negotiated settlement. Already 99 members of the US House of Representatives have signed the letters. 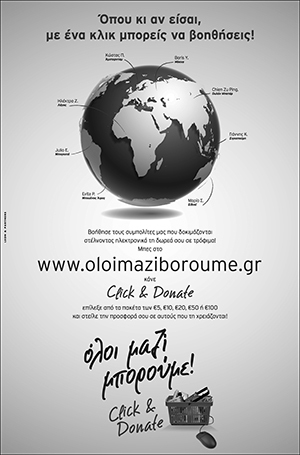 The plan, the letter noted, did not provide for a property recovery system that recognizes the rights and interests of displaced Greek Cypriots, and a property compensation system that does not force Greek Cypriots to pay for their own restitution. Moreover the right of all Cypriots to buy property and to live wherever they choose without being limited by ethnic quotas and a viable, functional government free of built-in deadlocks and voting restrictions based on ethnicity had not been provided for in the UN plan. ”The government of Cyprus and the Greek Cypriot community have emphasized that they are committed to the reunifying Cyprus as a bizonal bicommunal federation with democratic and human rights for all Cypriots. We therefore urge you to remain engaged in efforts to resolve the Cyprus problem, and to work toward a fair and lasting reunification of Cyprus,” the letter added. ”We urge you to reactivate your Good Offices Mission and reengage the international community in these critical efforts to bring a fair and viable settlement to Cyprus once and for all,” it said. The three letters thanked all recipients for their efforts so far in trying to find a negotiated settlement and stressed that the outcome of the referendum in April should be respected. 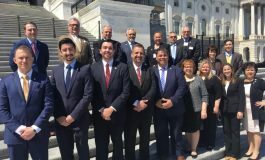 PSEKA, Cyprus Federation of America, AHI and other Greek American and Cypriot organizations have made an appeal to the community to call their members of congress and asked them to co-sign the letter. Some members, including Queens democrat Garry Ackerman were reluctant to sign the letter.